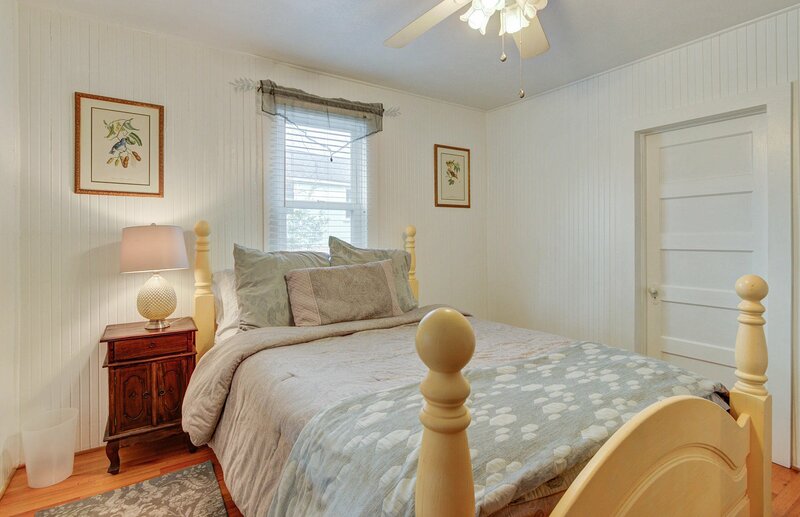 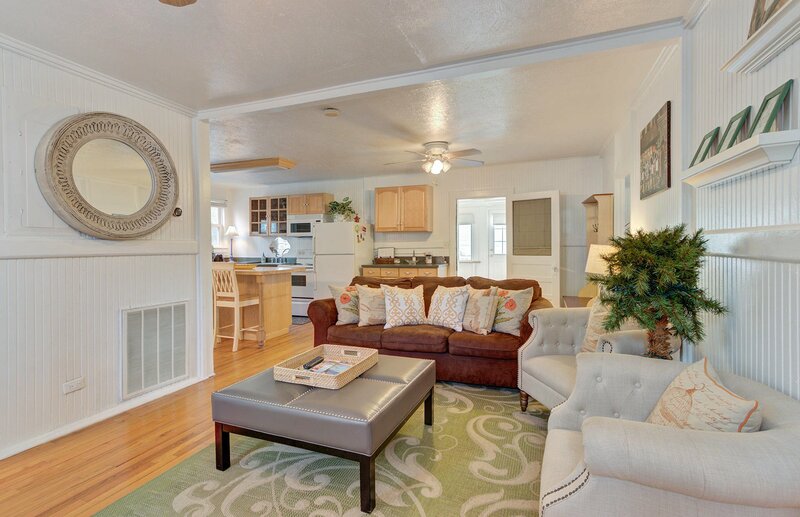 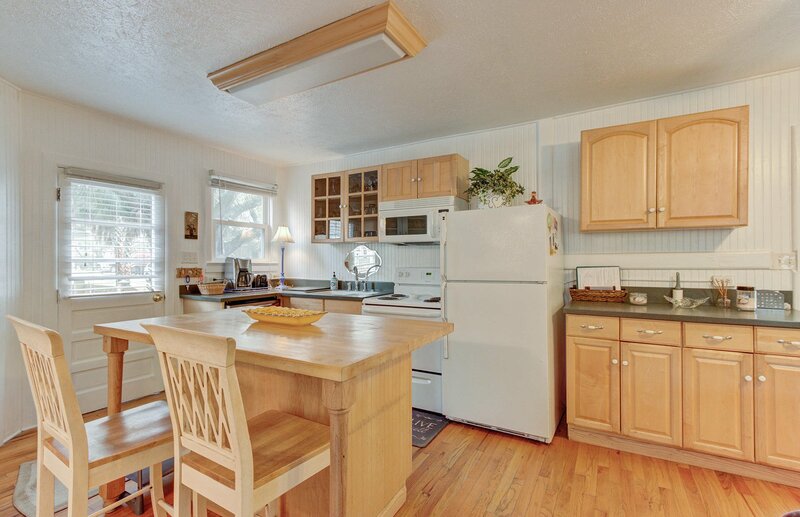 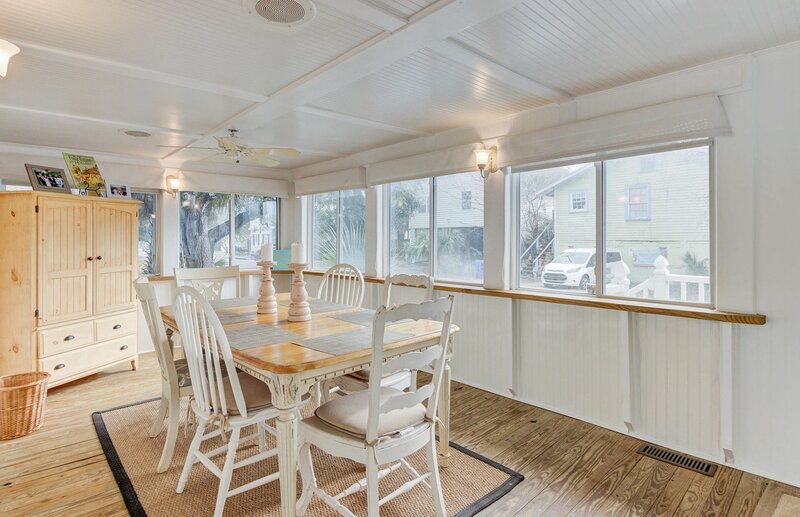 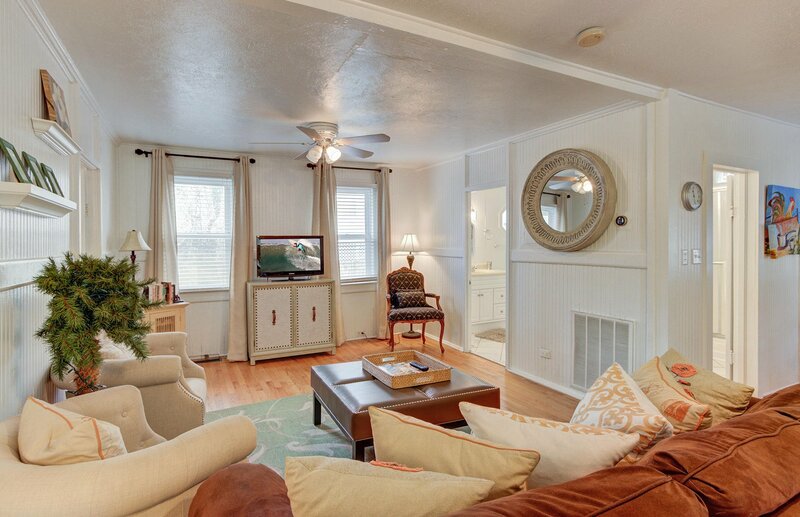 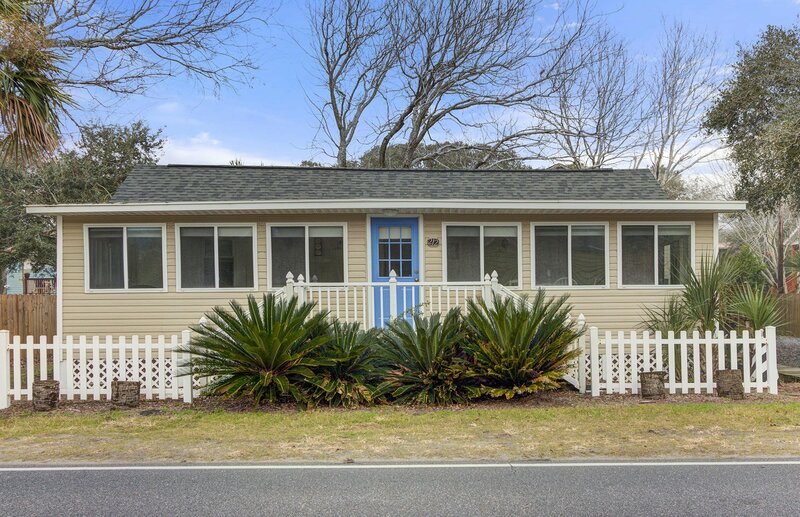 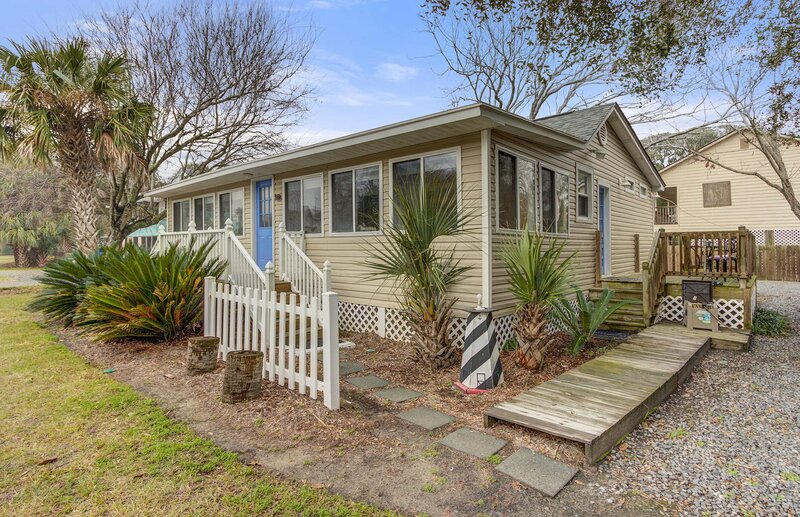 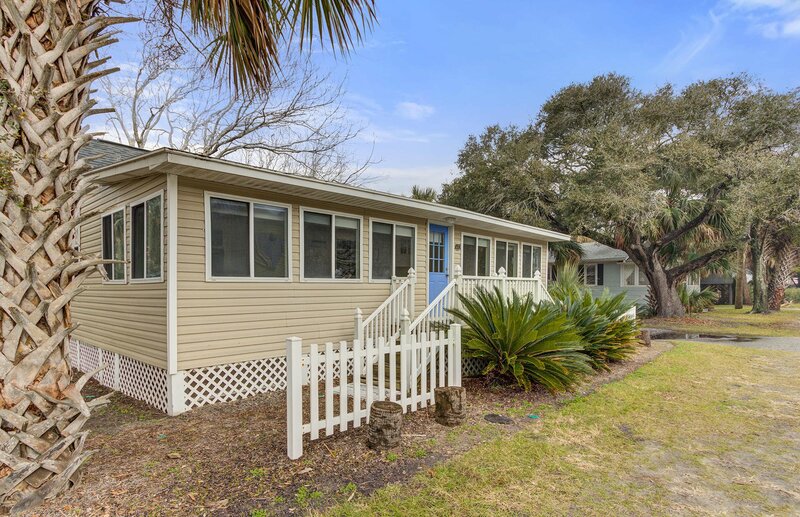 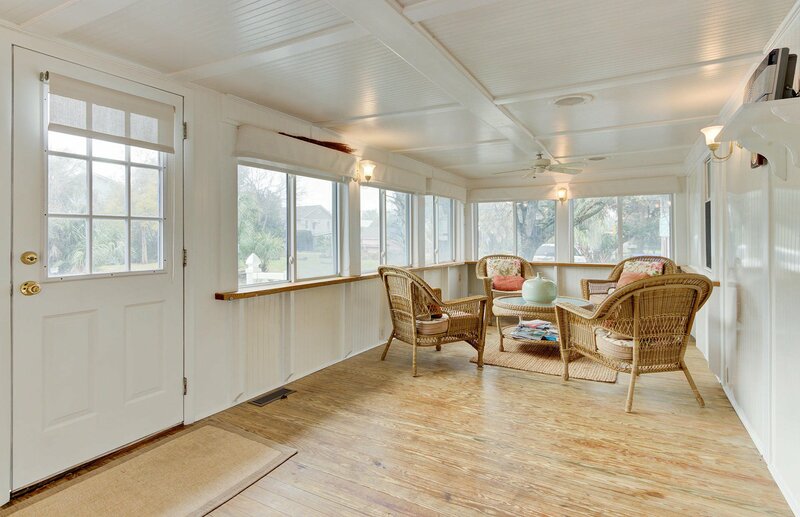 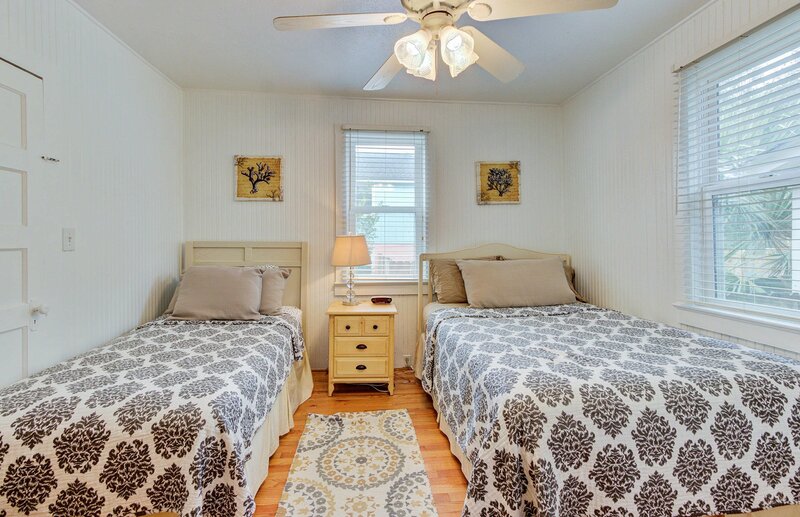 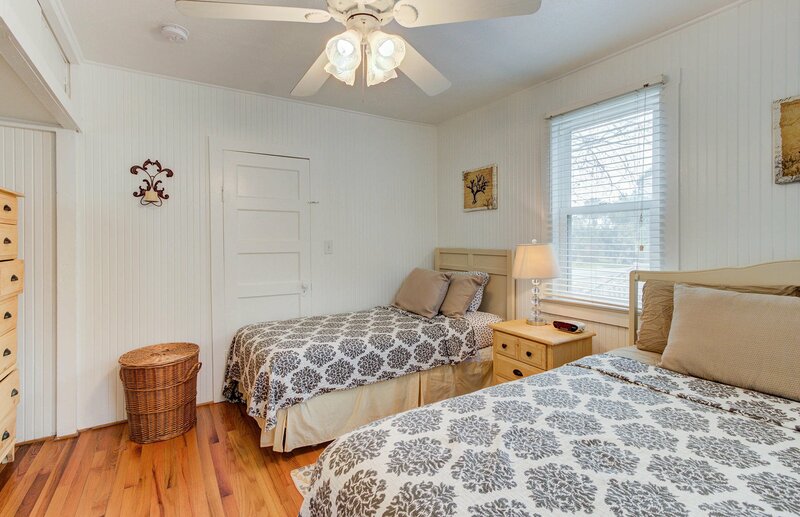 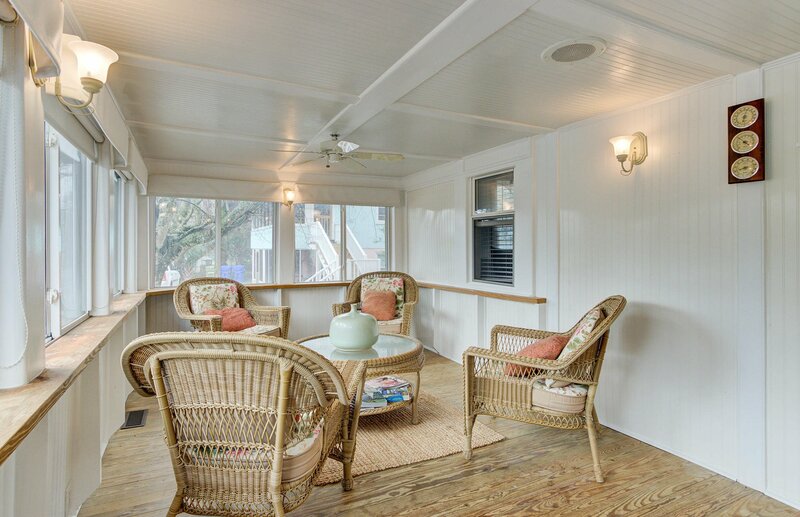 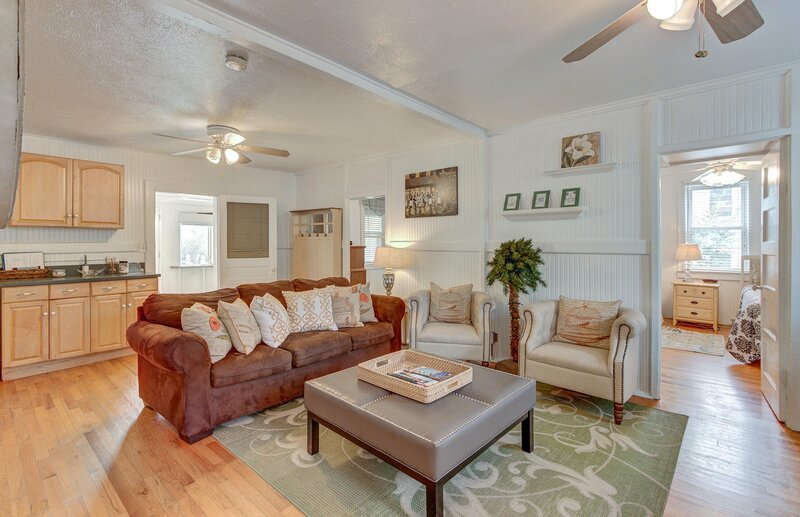 This charming beach cottage was completely renovated in 2002 including central heat/air conditioning, dishwasher, kitchen island w/eating bar, Corian countertops, built-in microwave, and enclosed front porch. 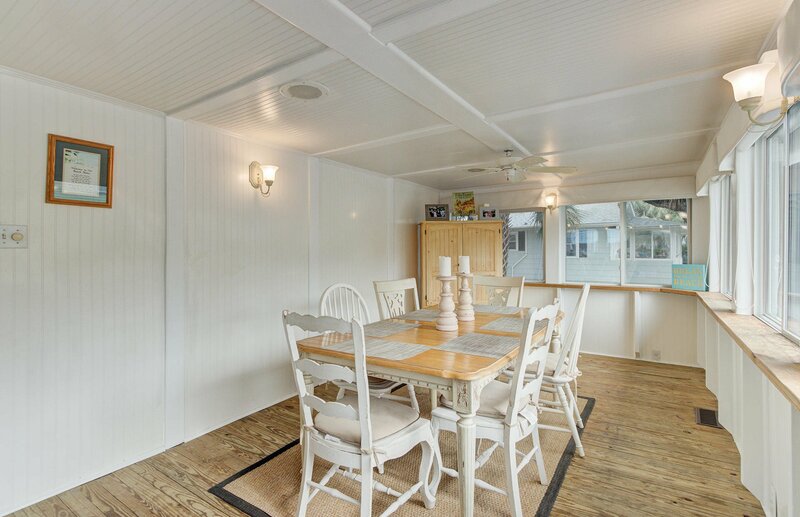 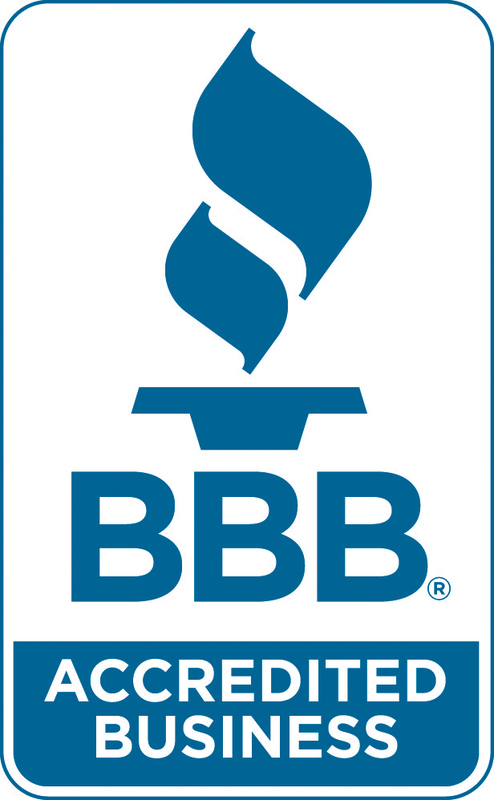 The renovations include new roof, new low-e windows, new electrical wiring and 200 AMP service panel. 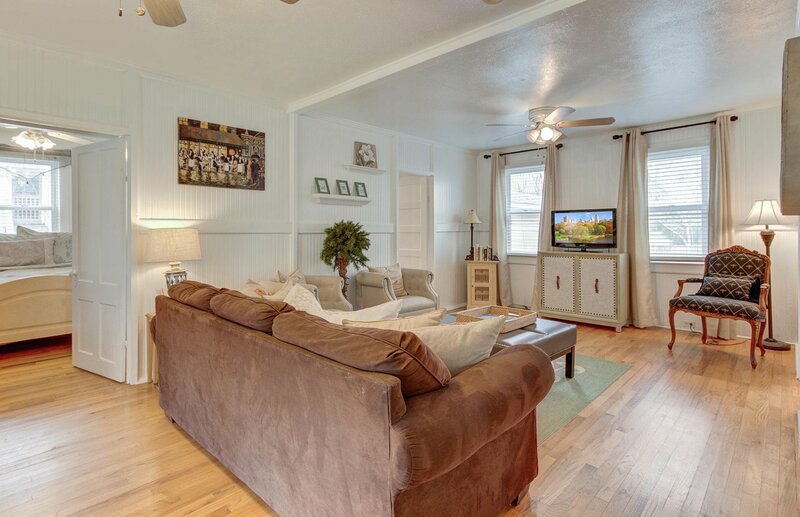 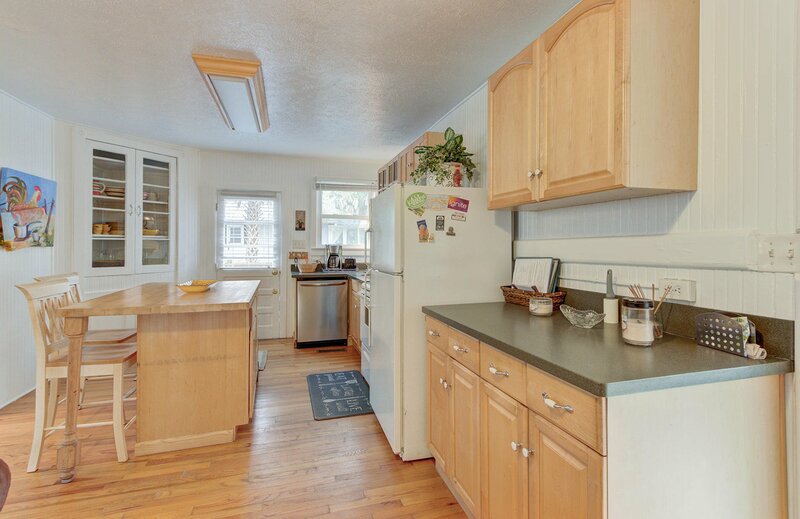 Oak hardwood floors throughout living room, kitchen and both bedrooms. 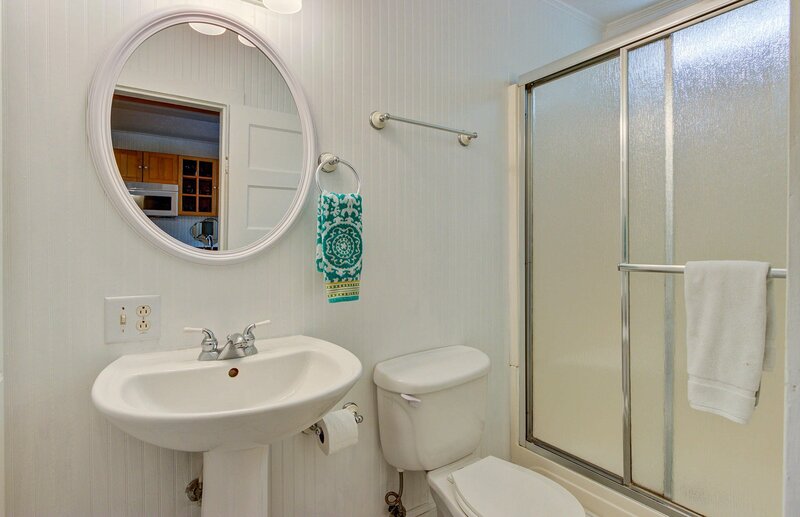 Both bathrooms have bath enclosures, vinyl flooring, and block glass windows. 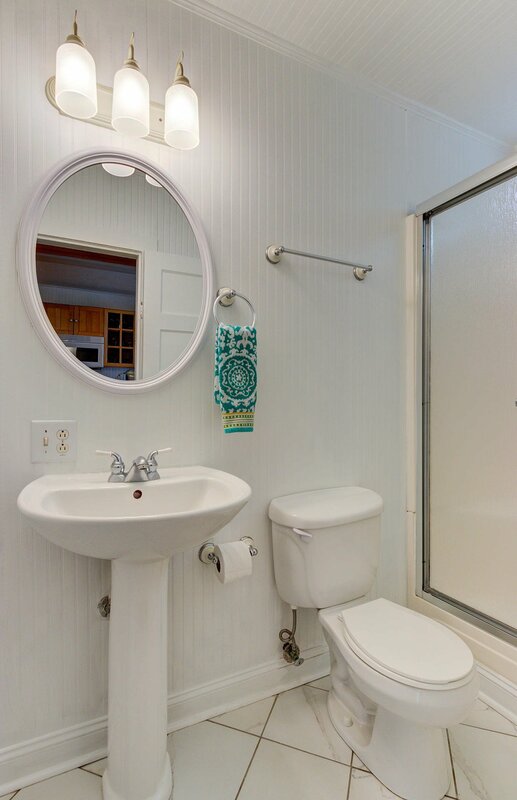 The main bath features white cabinetry with lots of storage. 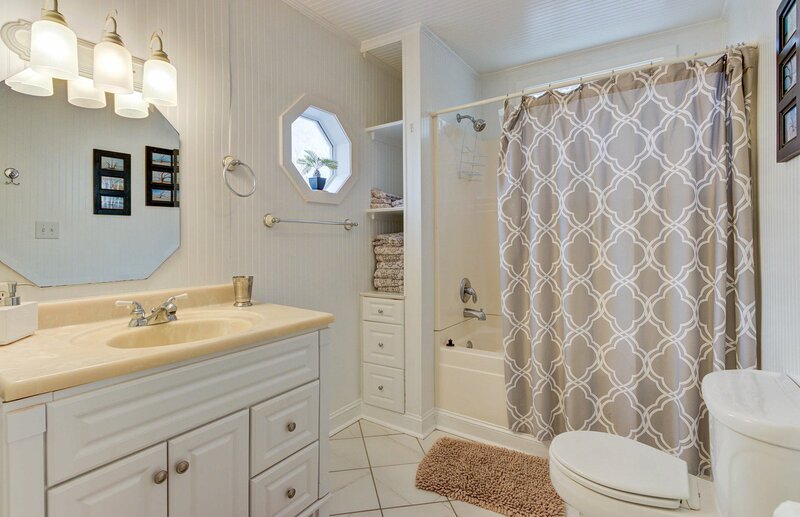 Second bath has pedestal sink and glass shower doors. 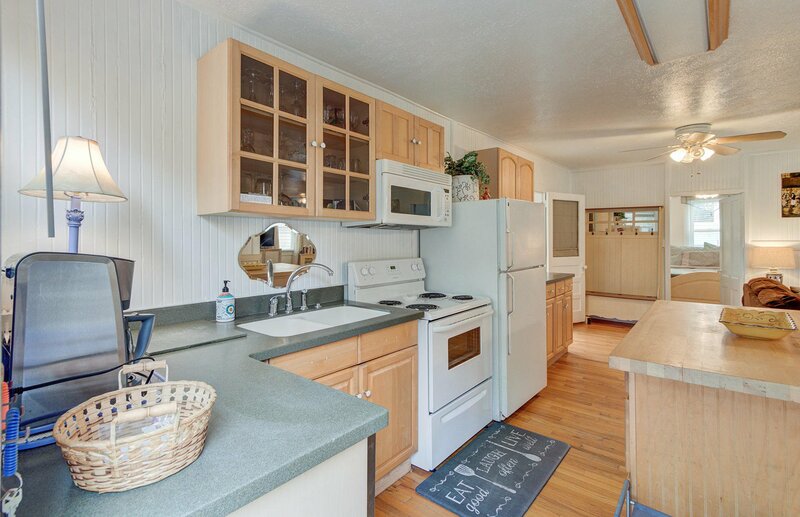 A utility shed has on-site laundry facilities and a spacious work area.